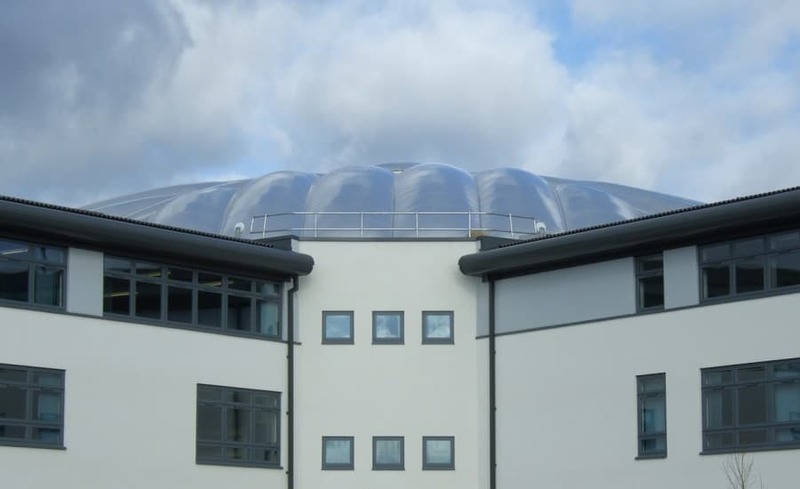 At a brand new secondary school in Swindon, Architen Landrell were approached to design, manufacture and install a series of walkway canopies and a unique ETFE dome covering the central atrium of the building. 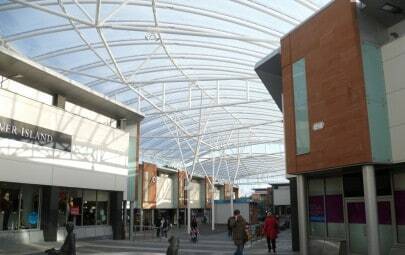 The 15m high dome is entirely crafted using the latest ETFE technology. 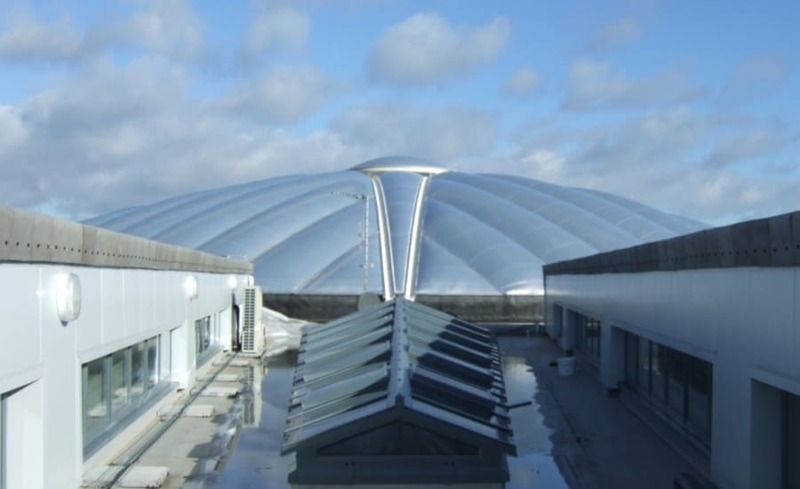 Created on a steel framed dome support frame with silicon rubber jacketed aluminium extrusion, the ETFE film pillows were fixed one at a time to ensure maximum accuracy. 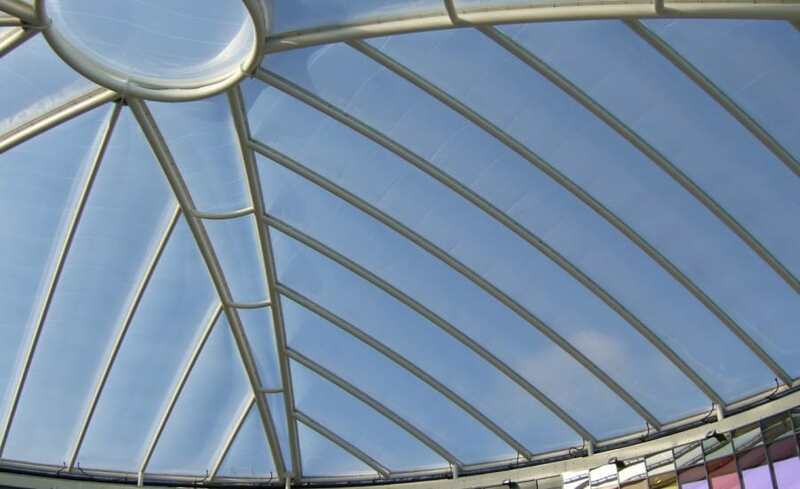 ETFE is an acronym for Ethylene Tetrafluoroethylene, which is plastic polymer material, a close relative of PTFE or Teflon and is totally unaffected by UV radiation. 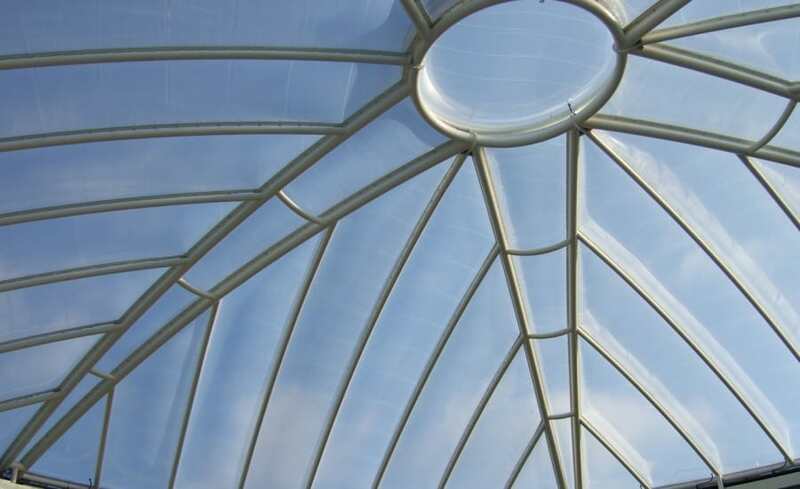 Unlike glass the material lets through ultra violet rays necessary for plant health and good for our vitamin D production and sun tans! 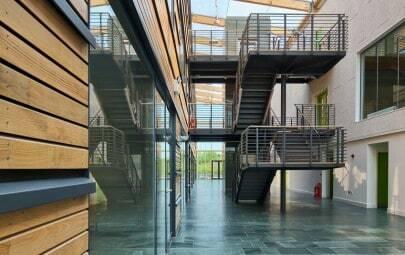 Unlike many other plastics, the film does not degrade in sunlight. 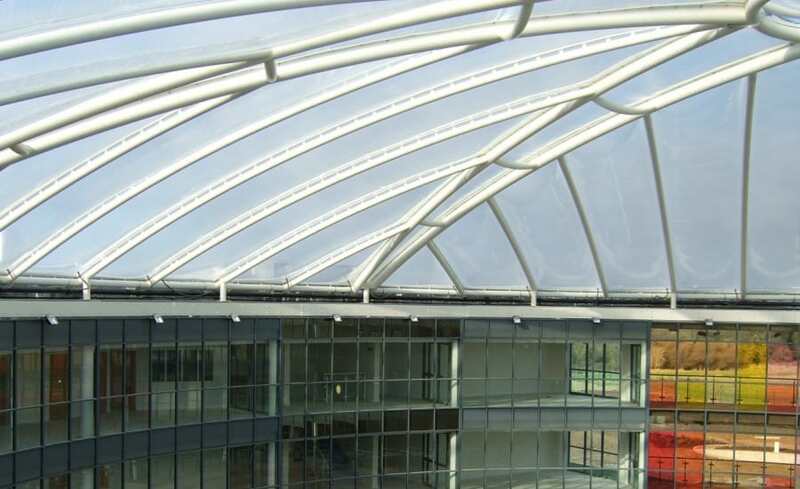 The ETFE pillows on this structure are printed on their upper face with a silver honeycomb pattern that blocks a large degree of light and UV transmission through its surface. 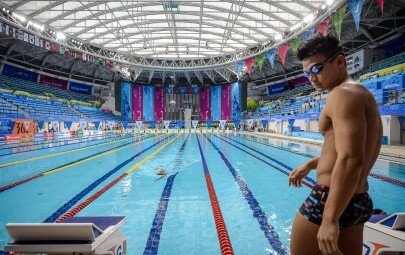 The pillows are fed via a twin pump system that dehumidifies the supplied air and warms it to prevent condensation within the pillows, the pressure is maintained at a reasonable level. 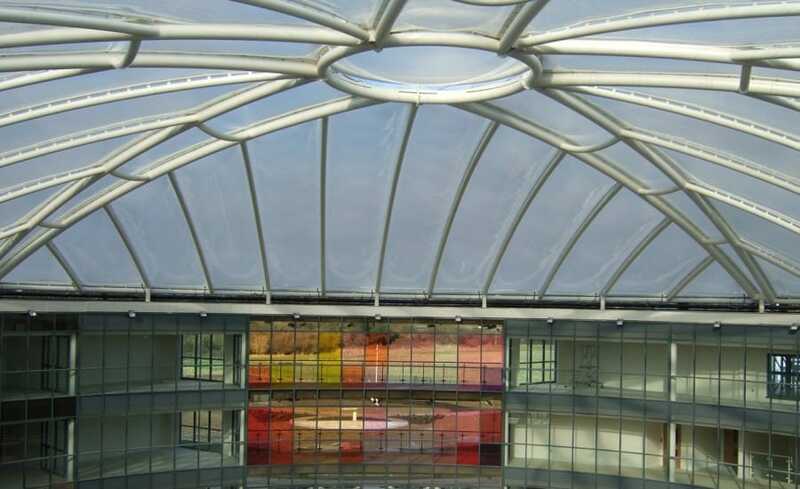 The walkway canopies, designed to protect the students walking between buildings from the rain and sun, were crafted from PVC coated polyester and like the ETFE dome, are easy to maintain.